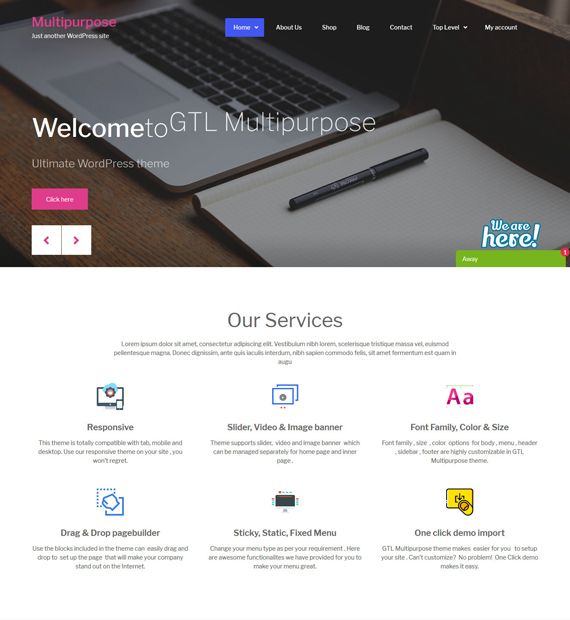 GTL Multipurpose is a free WordPress theme with a look and feel that is simple as well as beautiful. As the name might suggest, this theme is multipurpose and can be used for a wide variety of websites. This great theme is WooCommerce Compatible, SEO ready, Page Builder Compatible, Translation Ready, and Cross-Browser Compatible, to just name a few features. With its demo importer, you can have a website that looks and feels amazing with great ease.